You’ve taken care of the main details, the wedding cake, your wedding outfits, the venue and the wedding photography professional, not to mention the decor. And yet you still can’t shake that feeling that you might have left a tiny pebble unturned. Wanting everything to be perfect is absolutely understandable especially since it’s those little things which make a world of difference. And that’s what I’ll be taking a look at in this post: those extra little details which will add a hint of sparkle to your wedding and make it especially memorable. Gifts for your parents (and in-laws): They’re often an unshakable pillar of support. And their words of wisdom, endless patience and presence are often invaluable as you plan the start of your lives together. What better way is there to make them feel loved and appreciated in return, than by providing them each with a thoughtful present? Especially since the gesture is likely to be unanticipated, which will make it even more special. A contingency kit: Stuck zippers, snagged threads, minute food stains are tiny mishaps which feel like the end of the world. But you don’t need to let them cast a shadow over your wedding day. The presence of a very handy kit complete with stain remover, needle and thread, scissors and even candy and perfume will work wonders in banishing those mishaps definitively wherever they pop up. And that way, you can get to focus on what matters the most – enjoying your celebration to the fullest. Thoughtful touches for guests: We all have memories of that one wedding at which we felt especially catered to. And you too can ensure your special day leaves a similar heartwarming memory in the minds of your guests. And one of the best means of doing so is by providing delightful souvenirs in the form of themed stationery or tiny colorful boxes of pastries or candy, for example. Your very own personalized style: Your wedding is all about celebrating the wonderful union between you and your spouse. And nothing works better than imbuing the ambiance with your own personal touch to add to the magic of the moment. Monogrammed napkins, stationery and even centerpieces are simple but elegant means of doing just that. When it comes to adding that extra special glow to your wedding, it’s all about the little things as much as the big things. 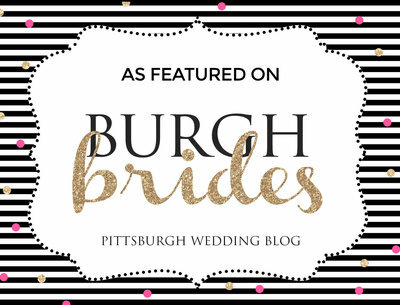 And thanks to the tips above gleaned from years on the Pittsburgh wedding scene, you will be able to have an idea of just where to begin, to make your wedding ceremony especially magical.